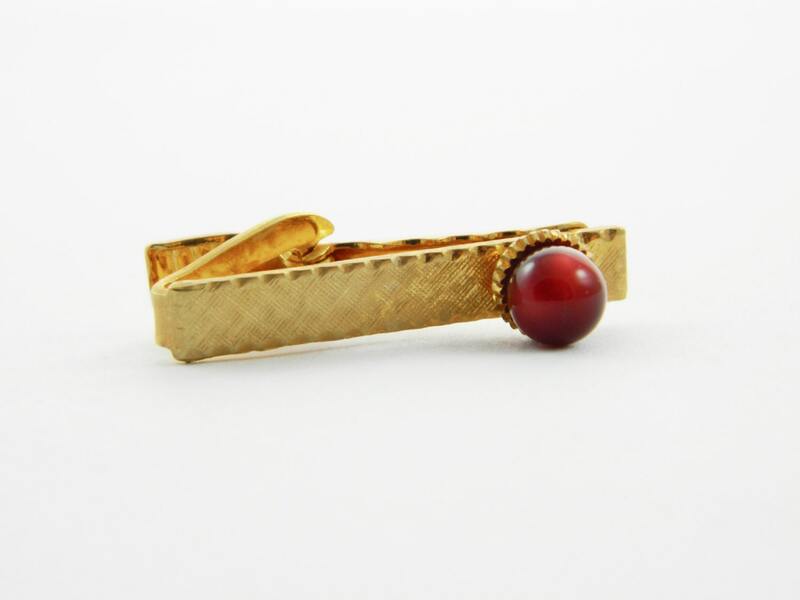 Gold Tiny Red Moonstone Tie Clip. Tiny Gold and Burgundy Tie Clip. Natural Patina adds to Vintage look.